We Are Your Eyes And Your Ears We checked the quantity and quality of the load. Both our suppliers and yours. 100% Secure Payment for Buyer and Seller Collection We release the money when the quality requirements are met the same day of the load. 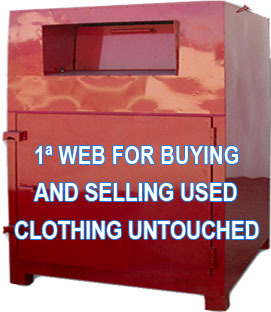 CONOR is a company born to facilitate the search, purchase and sale of used clothes, both original and classified, also we allow to do it safely for both parts, thus giving solution to the continuous scams which are produced in the world of used clothing. We offer through our web reliable suppliers of original untouched used clothing, you will not lose money when you receive a truck of original clothes, because we will be present the day of loading of your truck and we will check bags. We do a previous revision of the clothes of each supplier, this way you can know the approximate percentage of man, woman, child, summer and winter, percentage of labels, if the clothes are modern or not fashion. 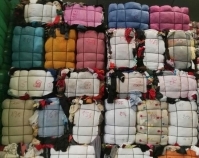 We also offer other services such as checking the cargo of suppliers found by you, certification of the quality of used clothing already classified (cream, first, second or third) and publication of classified clothing offers from our original clothing customers.